Democrats in Texas have long made the case that a “blue wave” was coming, especially in the age of Trump which is why the Gubernatorial Primary was so highly discussed this year. The political minority that hasn’t won a statewide election in the Lone Star State since the 90s had a choice between Lupe Valdez and Andrew White, two very different candidates. Dallas County Sheriff Lupe Valdez made headlines for bucking the Governor’s demands to shut down “sanctuary city” policies which he said threaten the safety of Texans. Valdez insisted that she would only consider handing illegal immigrants over to ICE on a “case by case” basis, releasing those charged with “minor offenses”. In a nationally-aired interview, Governor Greg Abbott even threatened to take legal or legislative action to remove Valdez from office if she continued to undermine state and federal immigration law. In December 2017, Valdez resigned as Sheriff to run for Governor in a bid to become the state’s first Hispanic, and Gay, Gubernatorial candidate. On Tuesday, the former Sheriff defeated fellow Democrat Andrew White, a Houston business executive to secure the Democratic nomination for Governor. Valdez bested White by about 25,000 votes or 6% of those who participated in the statewide primary. Texas Democrats hope that having a Latino at the top of the ticket will increase Hispanic voter turnout. However, that segment of the population is noticeably more conservative than in other states which was proven when Greg Abbott won 51% of the male Hispanic vote when he earned his first term as Governor in 2014. Governor Abbott made a concerted effort to campaign in the southern counties known as “The Valley” and capitalized on the anti-abortion stances of Catholic Mexican-Americans. Abbott’s mother-in-law who was born in Mexico starred in her own campaign ad advocating for her son-in-law in Spanish and the campaign still maintains a Spanish-only website. 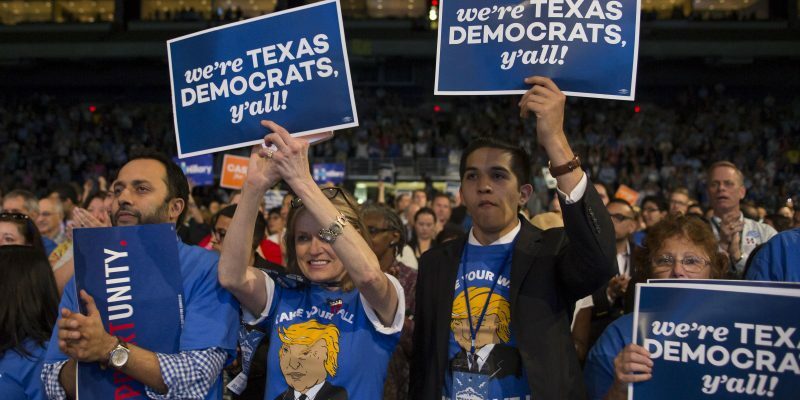 The truth is that Democrats have a long way to go in order to have a chance statewide in Texas and it will need to start with a thorough self-inventory of their core principles which are simply out of touch with Texas values of life and liberty.